The landscape through an airplane window is covered with clouds. Leaning towards and looking throuhg the window, i see the glimpse of landscape underneath. I see forest and fields. It is always a pleausre to see how people live and how the landscape gradually changes. The textile design for March is called "Hidden between clouds"
The design is inspired by cloud scenery. A section of mochi rolled around anko(sweet black bean paste) represents the clouds. 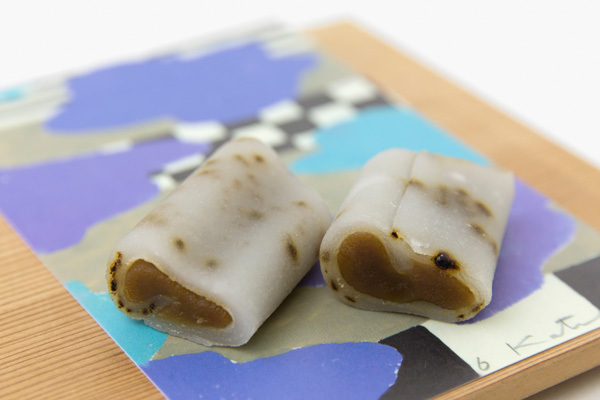 We have set a polka dot pattern against a white background with scattered Natto Beans from Daitokuji Temple. 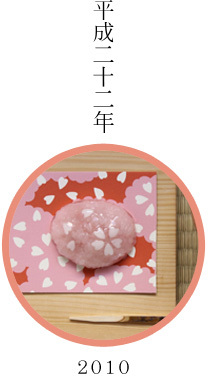 The white outer shell is filled with anko (sweetened red bean paste) that has been infused with Hoji green tea flavor. The outer shiroan (white bean paste) has then been cooked with boiled Hoji green tea. Finally Daitokuji Natto (Japanese fermented soybeans) have been added to the outer shell, enhancing the sweetness of the red bean paste with their particular saltiness. 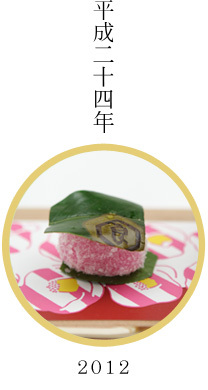 We collaborated with famous Kyoto patisserie Choukyudou. 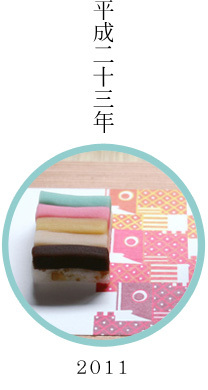 Our pop vibrant textile design reflect changes in the seasons and these are also expressed in our wagashi. 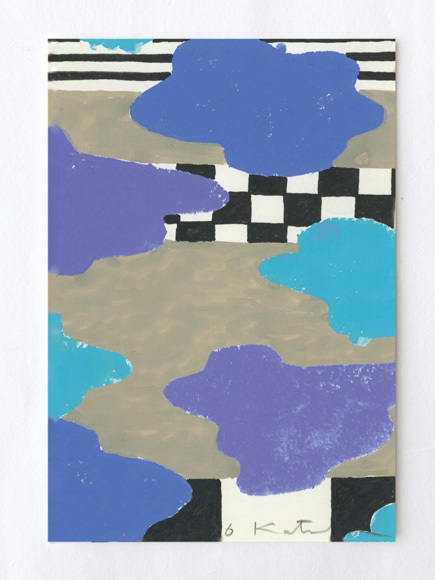 SOU・SOU's textile designer Katsuji Wakisaka has been publishing new textile design on monthly magazine, "PHP Special". 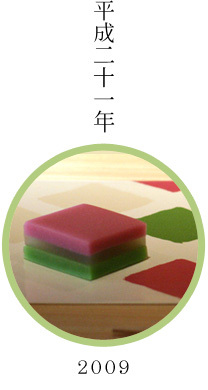 The seasonal changes are expressed in our wagashi. 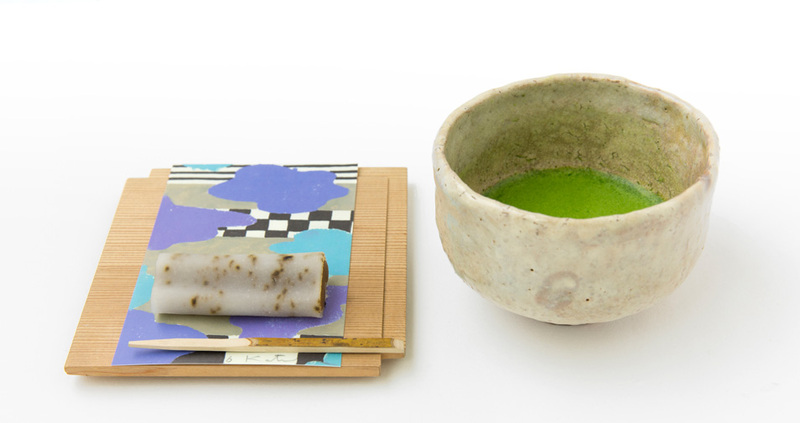 We collaborated with The noted Kyoto patisserie Kameya Yoshinaga. 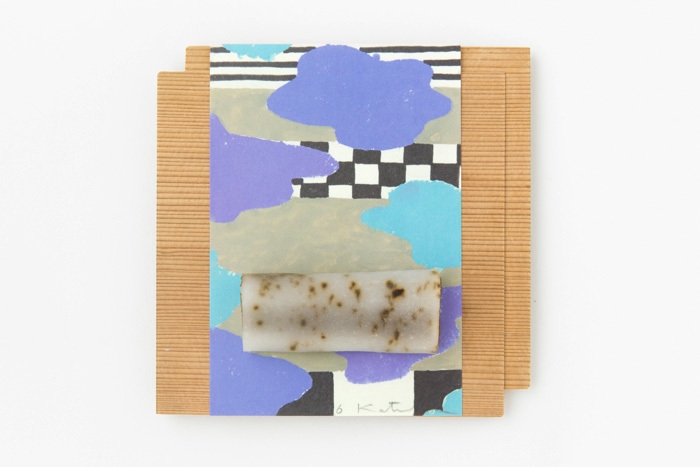 Together we created wagashi that emphasize Japanese seasonal changes as well as our graphic textile prints. 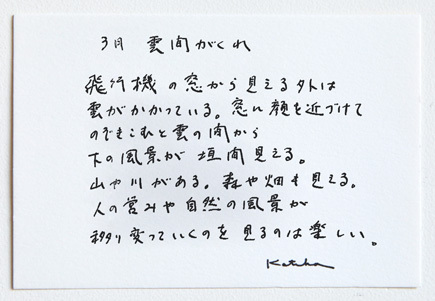 SOU・SOU designed a new flower design corresponding to each month of the year in "Flower Notes For the Four Seasons', the booklet published by Nihon Kadou Sha, operated by Ikenobo*. over five centuries ago and continue to spread awareness and knowledge of the ikebana tradition worldwide. 全ての著作権は、SOU・SOUに帰属しております。Copyright © 2013 SOU-SOU All Rights Reserved.